May 24th Happy National Wine Day! Cheers to all wine lovers! May 25, 2017 is National Wine Day. You probably remember that we celebrated February 18, this year as National Drink Wine Day. Now, happily, tomorrow is another special day for all of us wine lovers. Dionysus and Bacchus, Greek and Roman gods of grapes and wines, would be proud to discover that modern wine lovers are still enjoying the drink of the gods. While most wine lovers enjoy wine one any old day, why waste a chance to pour a glass (or more) in celebration with your favorite drinking partner? Happy National Wine Day! Here’s to you, may you always have good friends, good wine, and good days, Salute! Kentucky’s annual Wine and Vine Festival was a resounding success. Wine lovers came from many miles away to enjoy a day of tasting some of the state’s best wines. With music playing, wineries pouring, and vendors offering some unique shopping, visitors wandered around enjoying themselves from 10 to 7. It was a perfect day for an outdoor festival! Purple Toad, Horseshoe Bend, Chrisman Mill, Prodigy, Springhill, Talon, Hamon Haven, Wildside, Elk Creek, Rising Sons, First Vineyard, Equus Run, Cave Hill, and McIntyre’s hosted booths and shared their wines with the visiting wine lovers. Those interested in some shopping could buy olive oils from Stuarto’s, Tupperware, hand made jewelry, Larry Mac’s Beer Cheese, Good Ole Boys Leather items, Mary Jo’s Country Crafts, and many other specialities. I bought a gorgeous hand crafted clock made of wine corks. If you love wine, you missed a great opportunity to enjoy a taste of what Kentucky has to offer. But, you’re in luck, the Kentucky Wine and Vine is an annual event. Watch for next year’s date. Maybe we’ll see you there. May is a good time for wine lovers. Not only are the vines at the vineyards more welcoming with their spring growth, wineries are hosting more events, and wine festivals are scheduled. On May 20 and 21, from Noon to Six, wine lovers around the northern part of the state will have the chance to visit one of the most interesting of the state’s wine festivals. Jane’s Saddlebag, known for its restaurant, petting zoo, and unique atmosphere, is hosting the annual Jane’s Wine Festival and Art/Craft Show. Wineries, music, arts and crafts vendors, and more food options are waiting for visitors this year. Local wineries as well as from other parts of the state will be pouring tastes and selling wine. Sponsored by local businesses, this event each year has raised money for local causes and will again be donating a portion of their proceeds to the Cincinnati Children’s Hospital Medical Center. You can go, have fun, and support this year’s charity. Jane’s Saddlebag is located just past Big Bone Lick Park, in Boone County. Check my links for their website. Tickets are available for a presale if you’re interested. Mark your calendar, plan to visit, taste wine, relax, and enjoy the day. Founded in 1798, Nicholasville is the county seat of Jessamine County, Kentucky. The city is also home of the state’s official wine festival of 2017, the Kentucky Wine and Vine Fest. 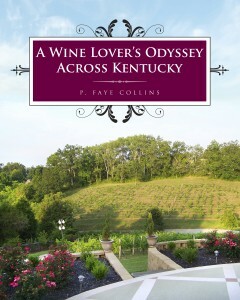 It was at First Vineyard in Jessamine County that the country’s first commercial wine production got its start. The County today boasts of two of the state’s 72 licensed wineries, Chrisman Mill Vineyard and Winery and First Vineyard. On the second Saturday in May (the 13th), wine lovers can enjoy this historic city and sample many of Kentucky’s finest wines. The Wine and Vine Fest kicks off on Thursday with a Farm to Table dinner, followed on Friday by a docent led Equine and Wine Tour of Taylor Made Farms, First Vineyard, and with a gourmet lunch served at Chrisman Mill Vineyard and Winery. The peak of the wine weekend is the festival itself held Saturday in downtown Nicholasville. The following Kentucky wineries are scheduled to attend: Cave Hill Vineyard & Winery-Eubanks, Chrisman Mill Vineyards and First Vineyard-Nicholasville, Elk Creek Vineyards-Owenton, Equus Run Vineyards-Midway, Grimes Mill and Talon Wineries-Lexington, Hamon Haven Winery-Winchester, McIntyre’s Winery-Bardstown, Purple Toad Winery-Paducah, Prodigy Vineyards and Winery-Frankfort, Rising Sons Winery-Lawrenceburg, Wildside Winery-Versailles, and Springhill Vineyards-Bloomfield. The wineries will be pouring tastes from their fine wines and offering them for sale. Wine lovers can do more than taste wines. Other activities include an art walk, and arts and crafts show, Kentucky Proud products, a Run for the Merlot, cooking demonstrations, wine tasting and wine pairings workshops. The wineries will be pouring from 10 to 7, on Saturday, May 13. Other events may start earlier. Check out the festival’s website to get the full schedule.